Before Patti Astor's Fun Gallery came Fashion Moda. 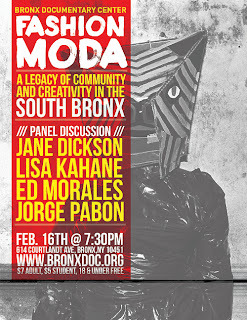 And rather than bring uptown artists to downtown, Fashion Moda nutured artists from the South Bronx. This Saturday, two artists who exhibited at Fashion Moda decades ago will celebrate its history. The Bronx Documentary Center will host photographer, Lisa Kahane, and artist, Jane Dickson who will screen her film of her 1980 cardboard installation, named "City Maze." This collaboration between Dickson and graffiti artist, Crash, was originally installed in Fashion Moda. 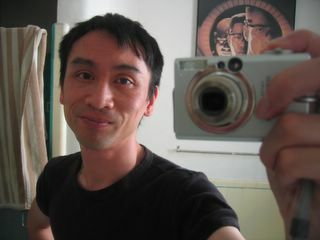 This was the start of the hip hop connection with the installation space. The picture above shows Crash's new signage painted in 1981. Since it closed in 1993, Fashion Moda has been recognized for "its role in connecting the graffiti artists living in the city’s boroughs with the downtown fine arts world." 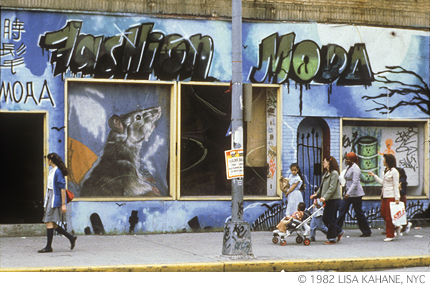 After the City Maze installation, Crash went on to produce the first graffiti show at Fashion Moda in late 1980. Entitled, "GAS," short for "Graffiti Art Success for America," Crash brought together the now familiar names Futura, Lady Pink, Lee and Zephyr. "Fashion Moda" opens at 7.30pm on February 16th. $7 adults; $5 students; free for under 18s.